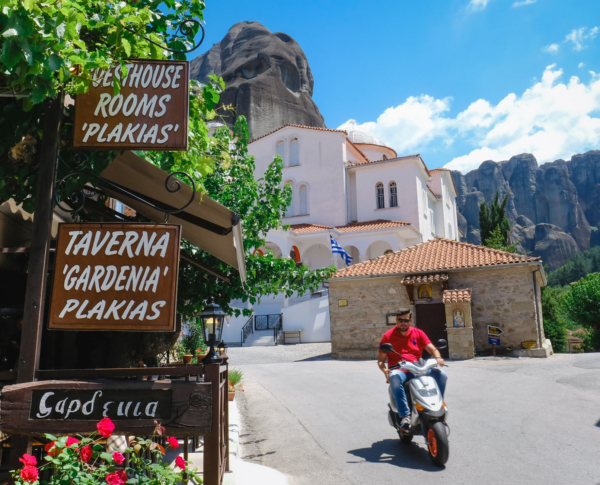 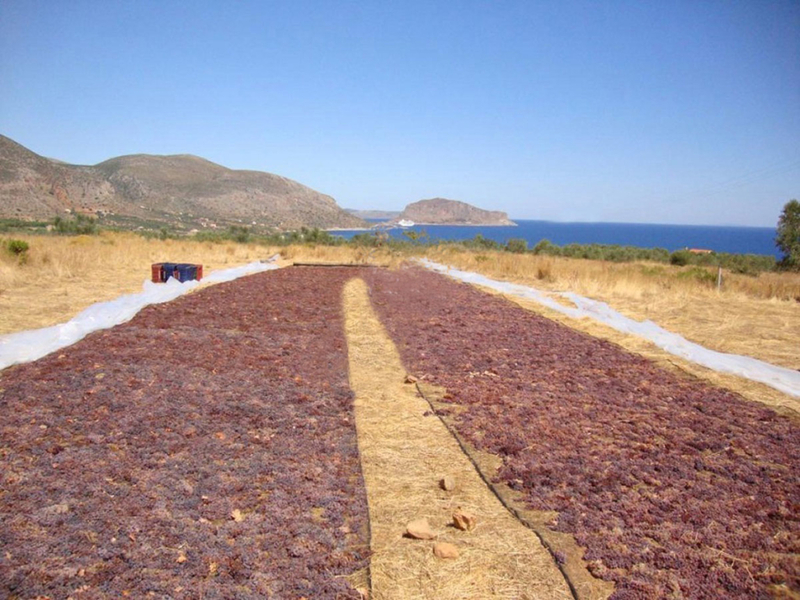 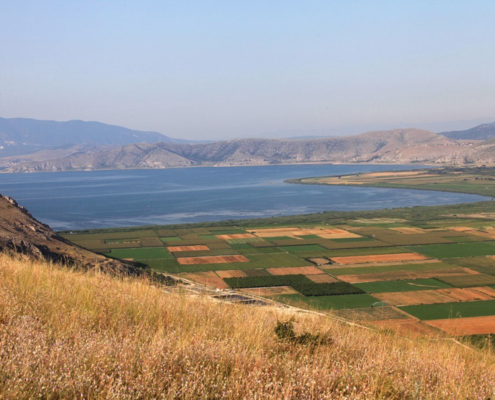 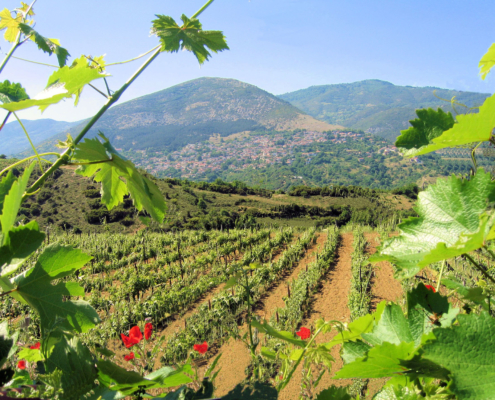 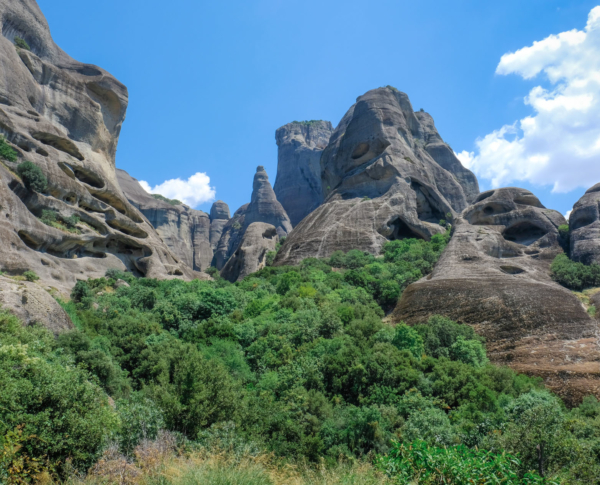 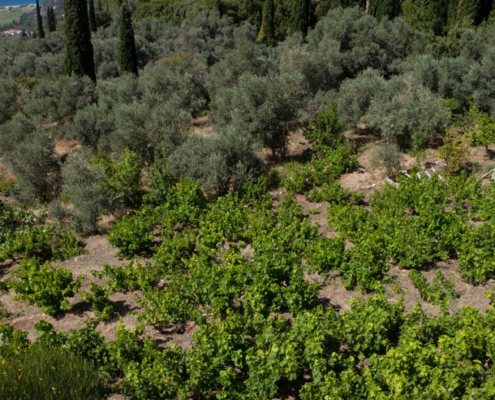 The PDO Monemvassia-Malvasia zone includes the areas of Monemvassia, Asopos, Vies and Molai at the southeastern end of the Lakonia region in the Peloponnese. 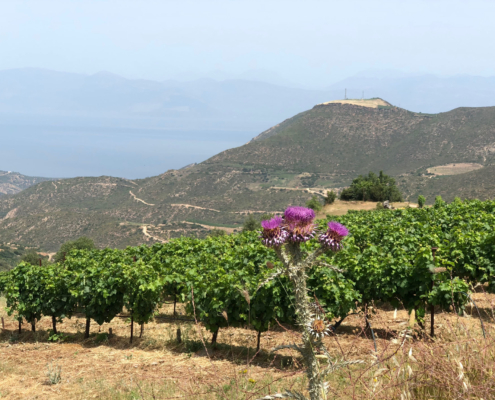 The area is actually the Epidaurus of Limira peninsula, whose tip -the weatherbeaten Cape Maleas (Kavo Malias of legend and lore)- forms, together with its counterpart to the west, Cape Tainaro, the Gulf of Lakonia. 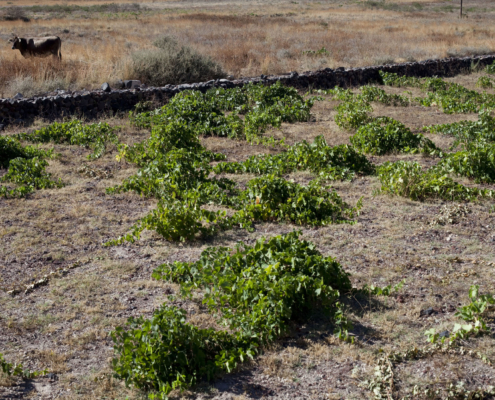 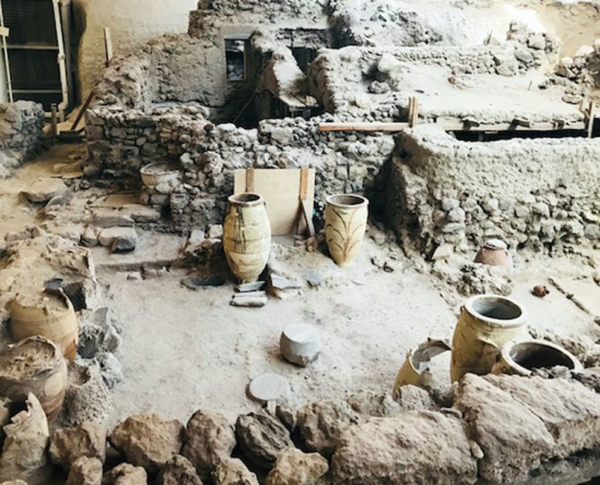 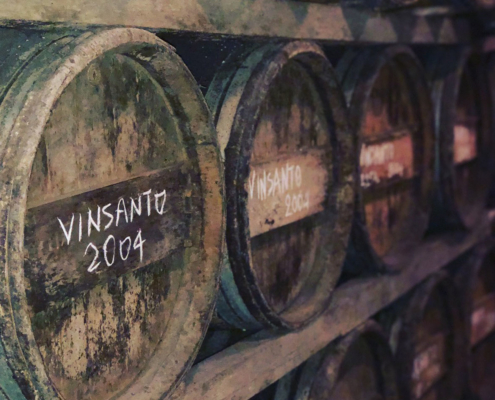 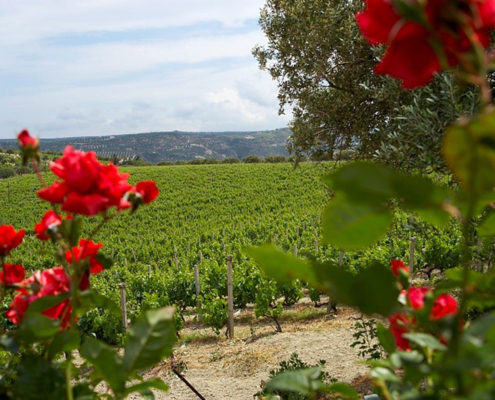 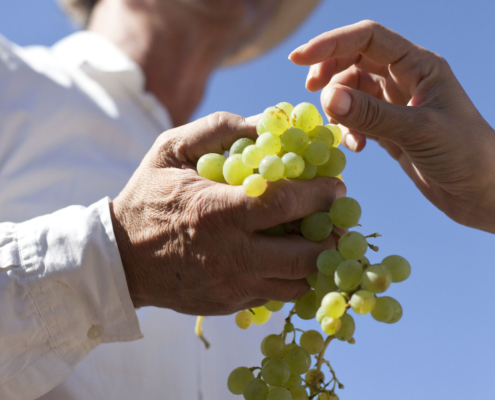 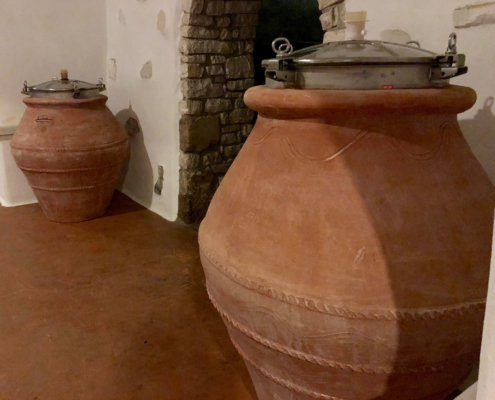 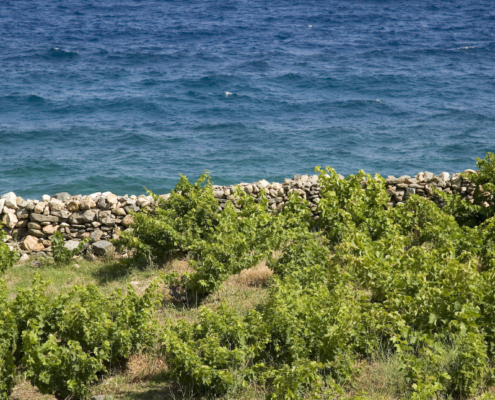 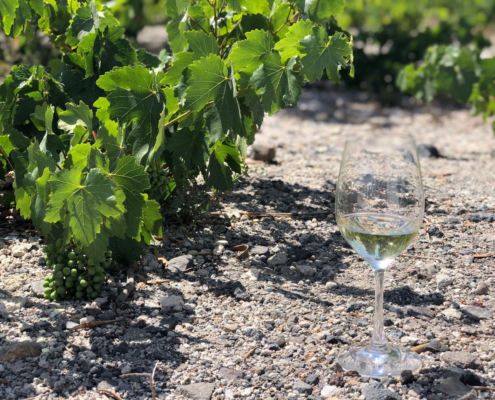 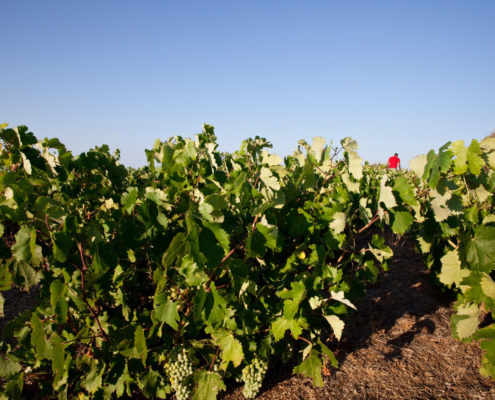 PDO Monemvassia-Malvasia is one of the newest PDO wine zones, established in July 2010, and has helped in bringing about a revival of the historic, sweet “malvasios oenos” which originated in Monemvassia. 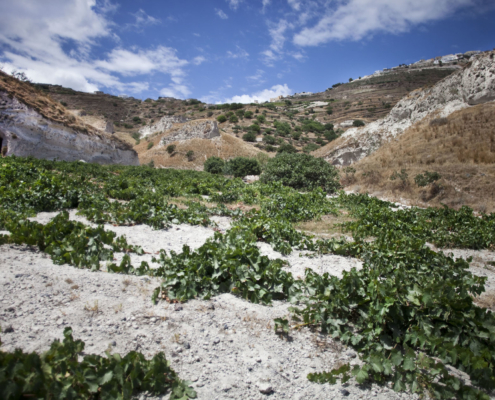 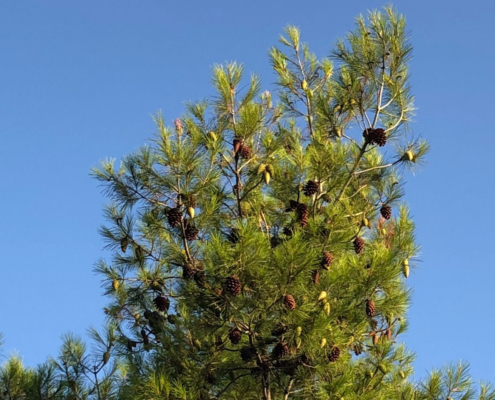 From here, the variety spread to the Cyclades and Paros in particular, where it now forms part of PDO Paros whites and reds. 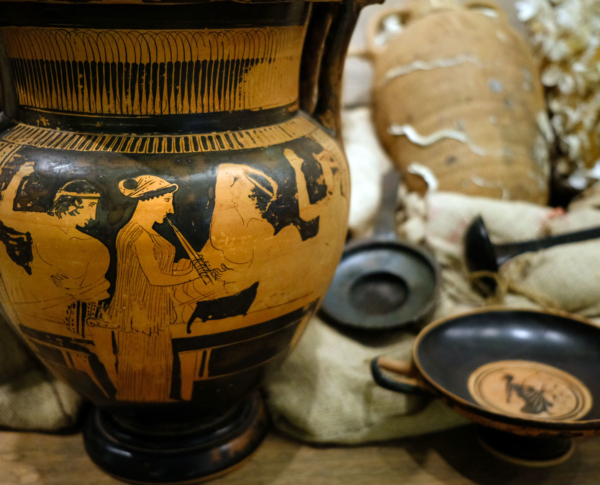 From the Cyclades the variety traveled to Crete where, during Frankish rule, by sheer virtue of the volumes it yielded alone it became famous throughout Europe. 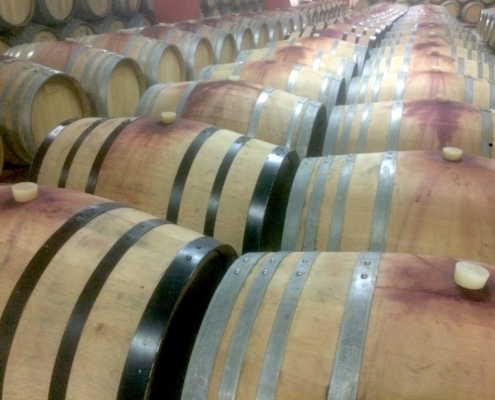 Oxidized aging of at least two years is mandatory and, if longer, it has to be four years or multiples of 4. 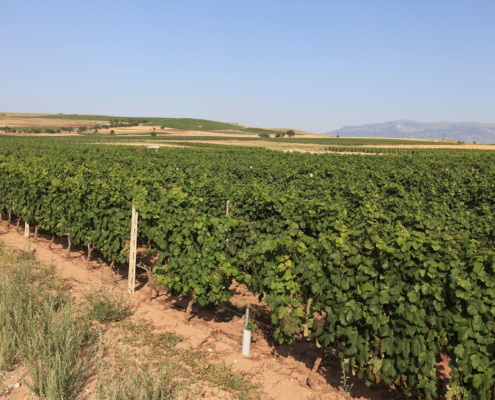 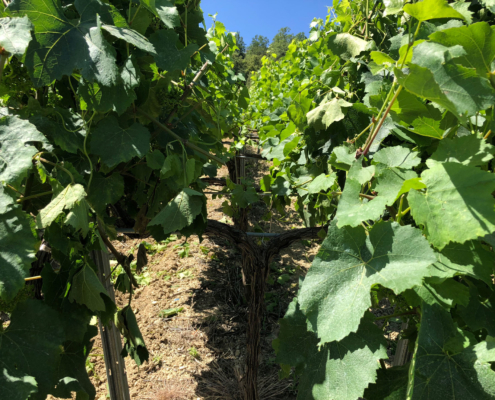 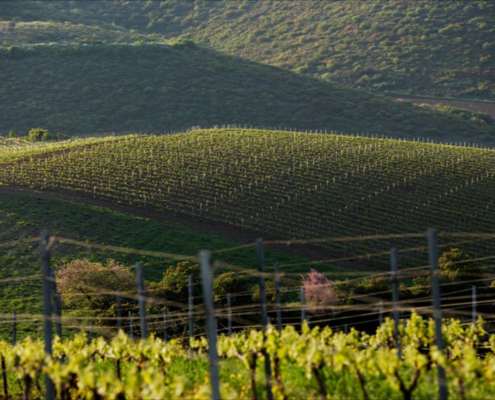 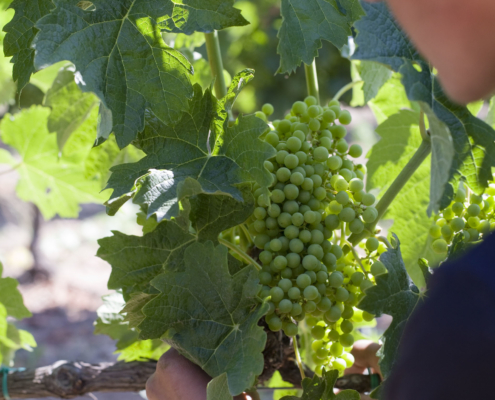 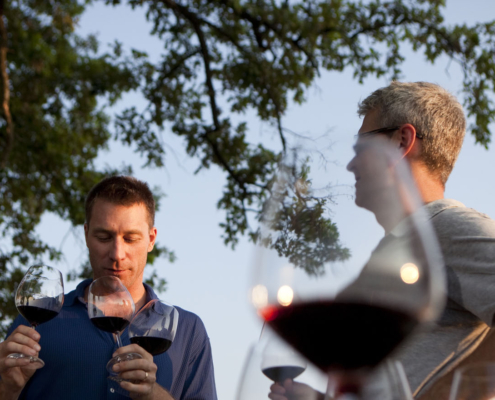 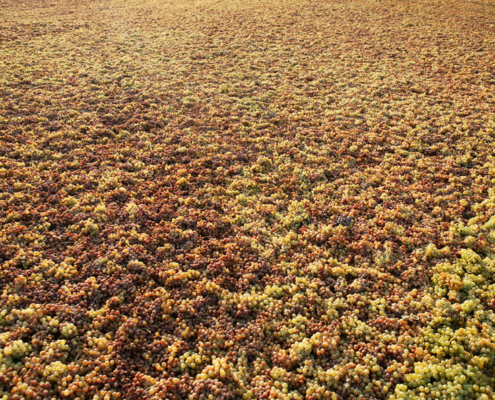 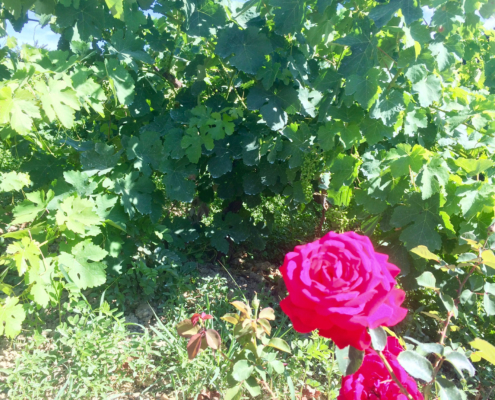 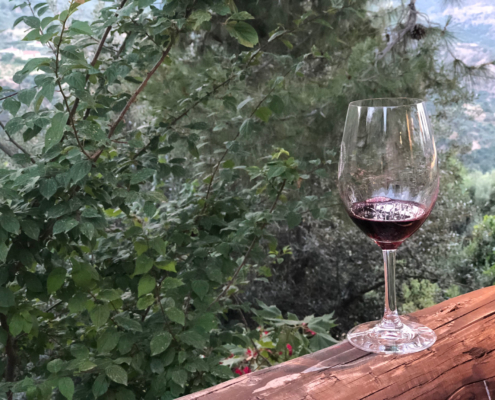 Legislation also permits the sale of wines coming from a specific harvest and the blending of different harvests together, provided that the more recent of them is clearly indicated. 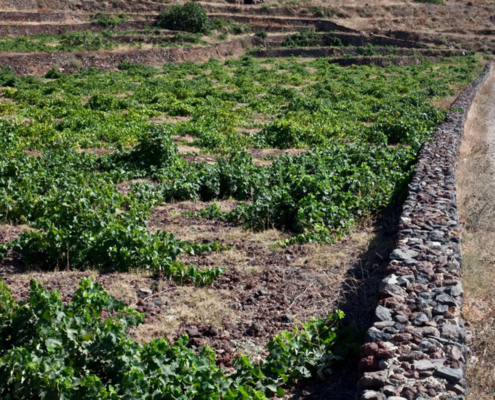 It is mandatory that the wines bear the double name of «Monemvassia-Malvasia” which must bear a uniform form, shape, and overall appearance. 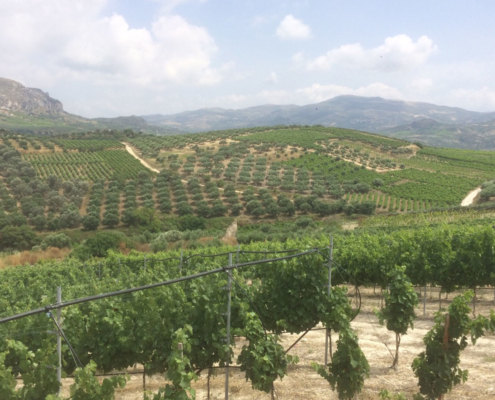 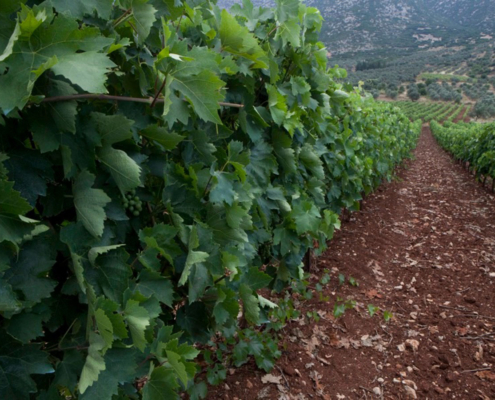 Monemvassia (at least 51%), Assyrtiko, Asproudes, Kydonitsa.